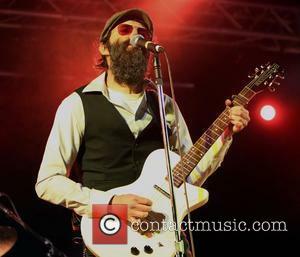 There was a lot of love in the room for the eels show in Bournemouth. 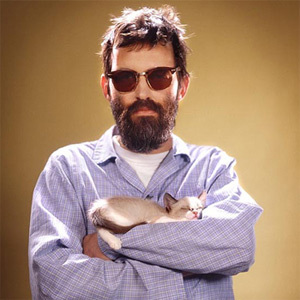 Much of it was actually on stage, with Mark Oliver Everett going out of his way to sidestep the spotlight in favour of highlighting members of the band. In-between the crunching riffs and inspired cover versions he was calling his band mates to the front of the stage for a hug. That enthusiasm and camaraderie was infectious leaving the audience in an uplifted and celebratory mood. This wasn't the sound of a man dealing with his inner demons, instead E was in a thoroughly life affirming mood. It's also clear that Eels are a well-oiled machine. Songs were grouped into clearly defined sections leaving the setlist as an organic progression from loud southern infused Rock to Everett's unique quirky Pop sound and back again. Dressed in matching Adidas tracksuits the band looked like a bizarre re-invention of a sixties pop group, with Knuckles' drum kit at the front of the stage and three band members on a rear riser behind him. There was theatricality throughout, with a hilarious skit to introduce the band, and the ignition sequence during main set closing track 'Souljacker'. The growling guitars of opener 'Bombs Away' heralded a quick succession of songs from new album Wonderful Glorious, punctuated by the surprise inclusion of Fleetwood Mac's 'Oh Well'. The Garage Rock of the opening 30 minutes showed just how skilled Everett is in writing big songs with catchy hooks that sit comfortably alongside such a familiar cover. The mood started to mellow following 'Peach Blossom' and 'Prizefighter', which opened the door for a revamped version of 'Fresh Feeling' and the second cover of the night 'Itchycoo Park'. While the set wasn't structured towards nostalgia, relying heavily on new material, there was a wry sense of humour on show as E made The Small Faces' song very much his own. But perhaps the highlight of the night was the most improvisational aspect of the show with Everett welcoming The Chet to the front of the stage to renew their bandmate vows after "Rocking around the world for 10 years". This prompted Knuckles to start singing 'Wind Beneath My Wings' and subsequently a drum led composition called 'Go Knuckles', which owes a huge debt to classic videogame theme songs. The joke was resurrected later during the second 'secret' encore (a good 10 minutes after the house lights had come up) with final track 'Go Eels' featuring E telling the crowd to "Go Home". The latter half of the show with its mix of fun and familiarity (for example the encore mash-up of 'My Beloved Monster' and 'Mr E's Beautiful Blues' played simultaneously) may have just surpassed the earlier part of the set, but not by much. 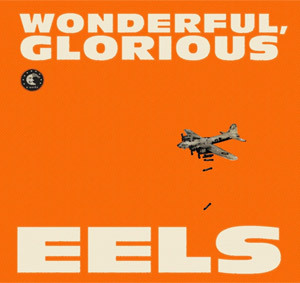 Not that it really needed it, but the live Eels experience just underlines how good much of the material on Wonderful Glorious is. Unlike other artists who can fall flat when presenting largely unfamiliar songs live, E instead seemed re-invigorated by the opportunity. Just type 'Go Eels' into YouTube and you'll see what I mean.